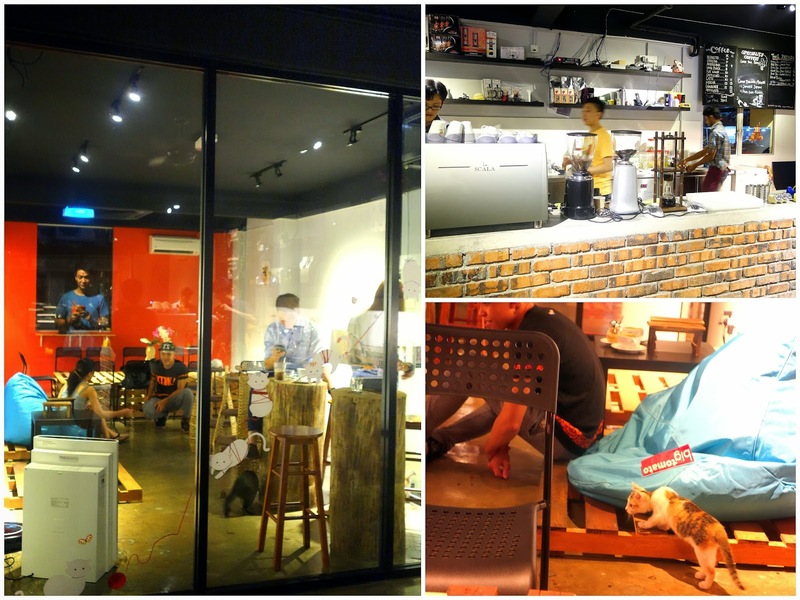 ... this one combined with a full-blown coffee bar. 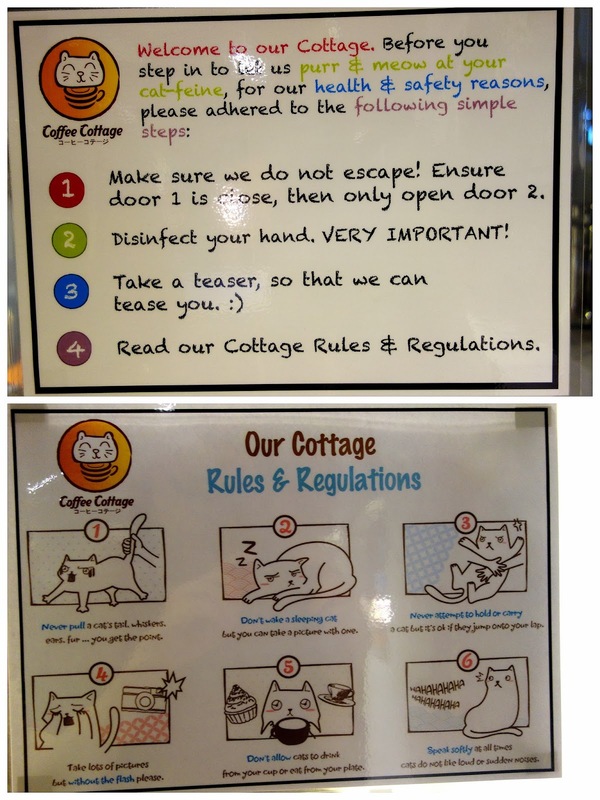 As Coffee Cottage's tagline proclaims, get cat-feinated! First up, the beverages: Coffee Cottage's friendly owners are still working out what their house blend will be, but they're off to a satisfying start. 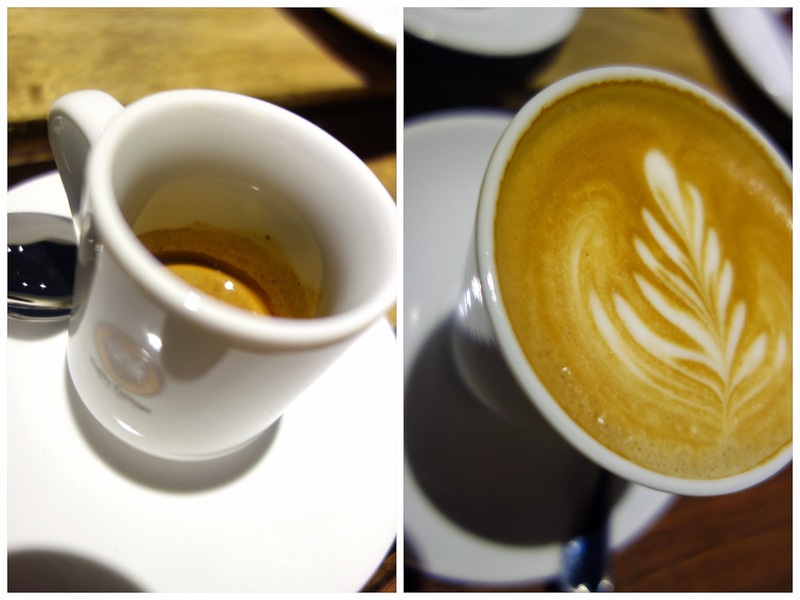 No complaints about the espresso & the soy milk latte. The cakes showcase a welcome push for distinctiveness; temptations include a salted caramel banana cake & raspberry-tinged red velvet. 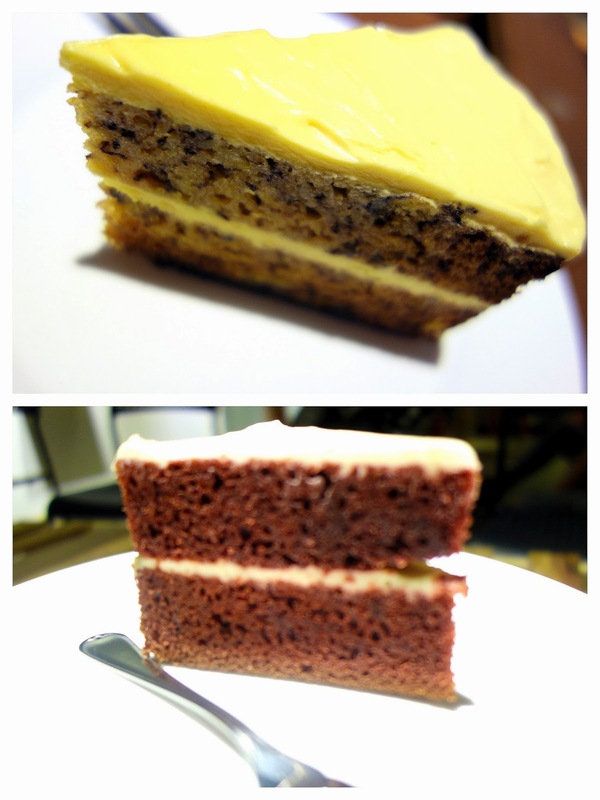 Our slices came out over-chilled though. 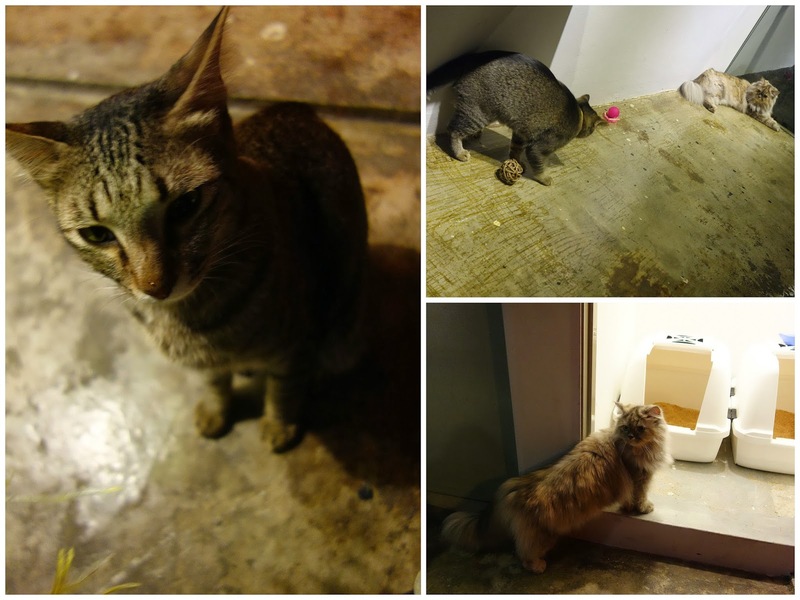 Ultimately, Coffee Cottage's biggest attractions are its furry ones _ Alvin, Trixie, LC, Ayumi & Yoshi _ three of them rescue cats. 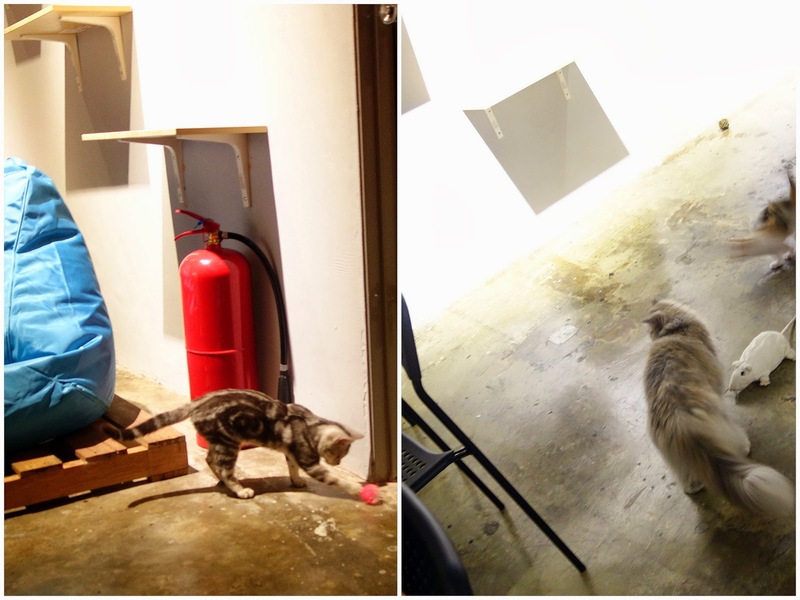 The cafe has two sections for customers to choose from: the cat room & the no-cat exterior. Food can be consumed anywhere. 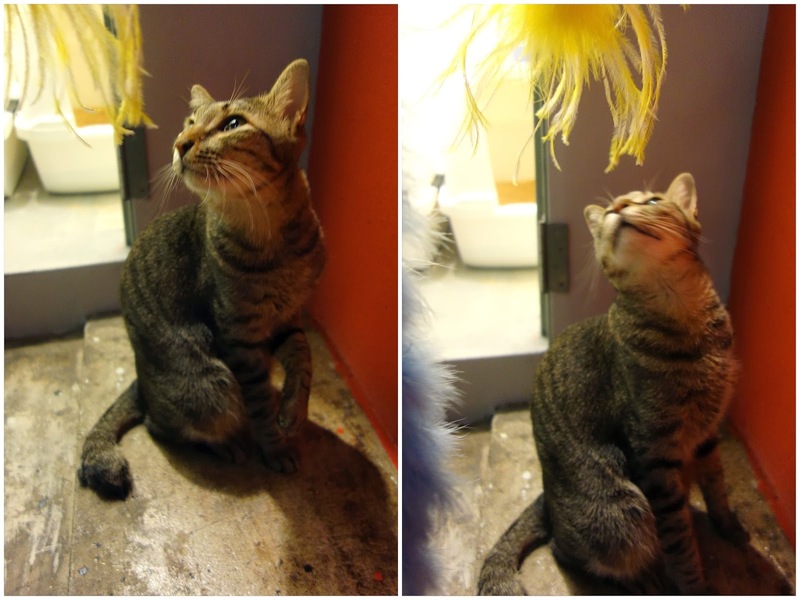 There's currently no extra fee or time limit for folks who opt for the cat room. It's pleasant enough to spend an hour in these cats' company. 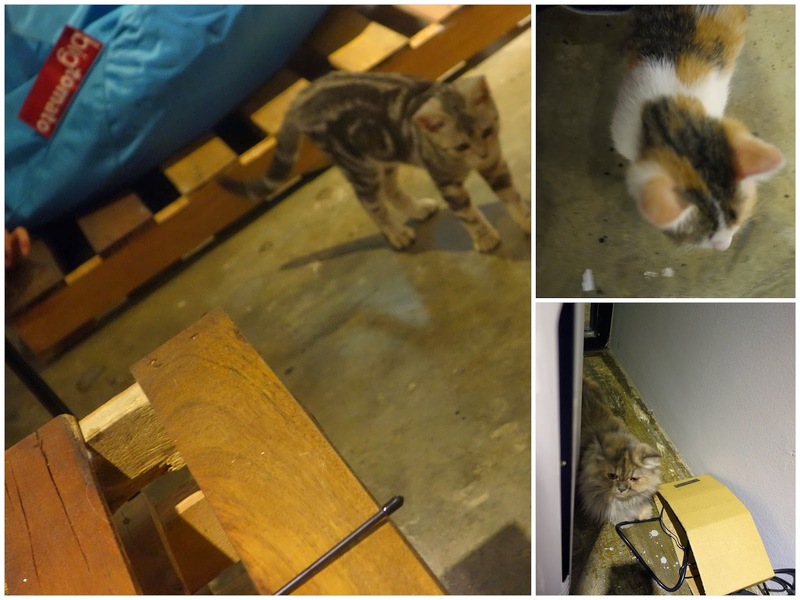 We're not really sure we want to see more cat cafes open (though it might be inevitable), but for now, it's nice to have both Coffee Cottage in Subang & The Country Cat Cafe in Setapak. Interesting concept, but I don't think I'd visit. Sean, you must have known that I would perk up to this post...and right so, I did! :) I love the Coffee Cottage framed picture with the cats!!! Of course, I love the cats! This must have been a really fun place to visit, I am sure. It's so nice that three of the cats are rescues, too, this is a big plus. 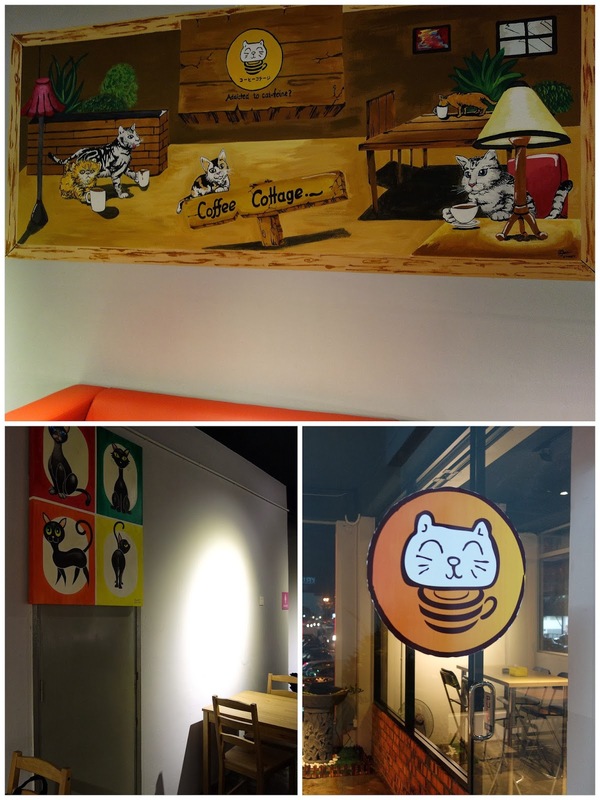 I like the little cat vignettes and the coffee and cake look so good! Oh? 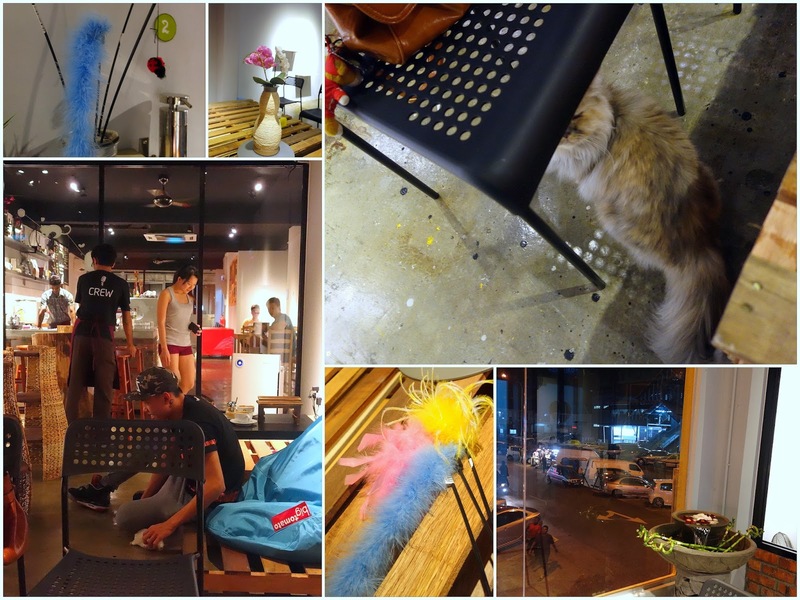 I thought the coffee and cakes and stuff are all meant for the cats - like that other place you featured before. I wonder if a hamster cafe is viable. Or aquarium cafe with the popular "pet fishes" - gold fish, arowana..LOL! What will they think of next !! Definately be there, has the 2 things that I like: cats & dessert. And for friends who aren't feline fans, the non cat section should suffice. Cute kitty! If you need a good place to buy, I recommend coffeeforless.com. Cheers! Can i bring along my kitty?